The timeless music by one of the legendary bands of the 50s is brought to life once again by an all-Canadian ensemble. One of the largest productions of the world, “Night Fever -The Bee Gees Tribute” has been touring successfully for a decade now and has been everywhere from Russia to Disneyland, recreating the Bee Gees’ sound and look. While the Bee Gees were a successful act since the beginning, their music career reached its peak during the 60s and 70s. The trio was tagged as a controversial music group of the late 50s but that added to their charm and made them a hot favorite. The Bee Gees dominated the music charts throughout their career and toured extensively all over the world, all the while increasing their fan following. Having sold more than 220 million units in their career, the band became one of the best-selling bands of all times. The Bee Gees span over 50 years of hit songs and have been inducted into the Rock and Roll Hall of Fame. Formed by three brothers, The Bee Gees became known as the most successful “brother act”. Night Fever brings to stage the band’s legacy, featuring songs like “To Love Somebody,” “I Got to Get A Message,” “Massachusetts”, “More Than A Woman,” “I Started A Joke,” “Nite Fever,” “Jive Talking,” “You Should Be Dancing,” “Stayin’ Alive” and “Tragedy”, among others. 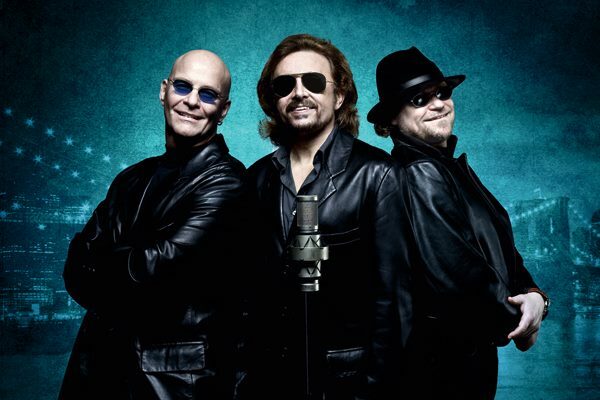 This tribute is the celebration of the immense success, resilience, and popularity of the Bee Gees. Fans all over the world continuously look for the opportunity to listen to Bee Gees songs live and this has increased the demand for Night Fever. The tribute band’s ensemble includes Joe Varga, as Robin Gibb, who is a huge fan of Bee Gees and quite passionate about their music. Joe is the lead vocalist and bassist. John Acosta, as Barry Gibb, is known as a versatile and prolific songwriter and is also recognized as a live performer. Mathew Whale, as Maurice Gibb, who has been a professional piano and keyboardist for over 20 years. Matthew’s vocals are also the big part of the show that reproduces the high harmonies of the Bee Gees. Night Fever is the world’s number one production of the Bee Gees. This all Canadian cast from Toronto, Ontario will take you back in time to one of the greatest bands in pop history. So, sit back and enjoy the greatest tribute ever to the Bee Gees from Canada, NIGHT FEVER!